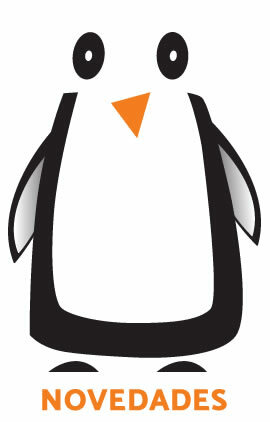 Comprar online antivirus, Office, Windows y programas para PC. 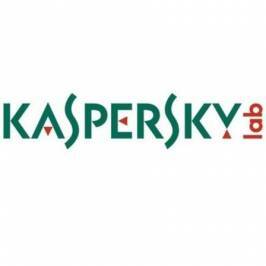 ANTIVIRUS KASPERSKY INTERNET SECURITY 2019 - 1 LICENCIA / 1 AÑO ATTACHED - NO CD - PROTECCIÓN EFICAZ - PARA PC/MAC/MOVILES.(P/N:KL1939S5AFS-9MSBA). ANTIVIRUS KASPERSKY 2019 - 1 LICENCIA / 1 AÑO - NO CD - PROTEGE FRENTE A VIRUS / SPYWARE / TROYANOS - FÁCIL DE CONFIGURAR.(P/N:KL1171S5AFS-9). ANTIVIRUS KASPERSKY INTERNET SECURITY 2019 - 1 LICENCIA / 1 AÑO - NO CD - PROTECCIÓN EFICAZ - PAGO SEGURO - PARA PC/MAC/MOVILES.(P/N:KL1939S5AFS-9). ANTIVIRUS KASPERSKY 2019 - RENOVACIÓN 3 LICENCIAS / 1 AÑO - NO CD - PROTEGE FRENTE A VIRUS / SPYWARE / TROYANOS - FÁCIL DE CONFIGURAR.(P/N:KL1171S5CFR-9). ANTIVIRUS KASPERSKY 2019 - 3 LICENCIAS / 1 AÑO - NO CD - PROTEGE FRENTE A VIRUS / SPYWARE / TROYANOS - FÁCIL DE CONFIGURAR.(P/N:KL1171S5CFS-9). ANTIVIRUS KASPERSKY INTERNET SECURITY 2019 - 3 LICENCIAS / 1 AÑO - NO CD - PARA PC/MAC/MOVILES - PROMO "TU INVITAS, NOSOTROS PAGAMOS".(P/N:KL1939S5CFS-9RP). 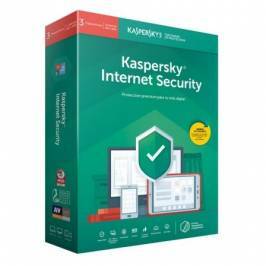 ANTIVIRUS KASPERSKY INTERNET SECURITY MULTIDEVICE 2019 - 4 LICENCIAS / 1 AÑO - NO CD.(P/N:KL1939S5DFS-9LTD). ANTIVIRUS KASPERSKY INTERNET SECURITY 2019 - RENOVACIÓN 3 LICENCIAS / 1 AÑO - NO CD - PROTECCIÓN EFICAZ - PAGO SEGURO - PARA PC/MAC/MOVILES.(P/N:KL1939S5CFR-9). 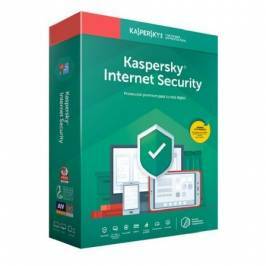 ANTIVIRUS KASPERSKY INTERNET SECURITY 2019 - 3 LICENCIAS / 1 AÑO - NO CD - PROTECCIÓN EFICAZ - PAGO SEGURO - PARA PC/MAC/MOVILES.(P/N:KL1939S5CFS-9). ANTIVIRUS KASPERSKY KASPERSKY TOTAL SECURITY MULTIDEVICE 2019 - 5 LICENCIAS / 1 AÑO.(P/N:KL1949S5EFS-9MSB). ANTIVIRUS KASPERSKY TOTAL SECURITY 2019 - 3 LICENCIAS / 1 AÑO - NO CD - PROTECCIÓN EFICAZ - PAGO SEGURO - PASSWORD MANAGER - COPIA SEGURIDAD.(P/N:KL1949S5CFS-9). 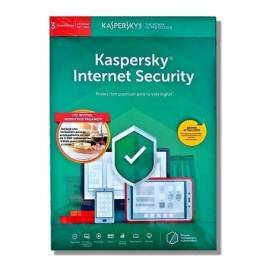 ANTIVIRUS KASPERSKY INTERNET SECURITY 2019 - 5 LICENCIAS / 1 AÑO - NO CD - PROTECCIÓN EFICAZ - PAGO SEGURO - PARA PC/MAC/MOVILES.(P/N:KL1939S5EFS-9). MICROSOFT OFFICE 365 PERSONAL - WORD - EXCEL - POWERPOINT - ONENOTE - OUTLOOK - PUBLISHER - ACCESS - 1 USUARIO/1 AÑO - MULTIDISPOSITIVO.(P/N:QQ2-00768). 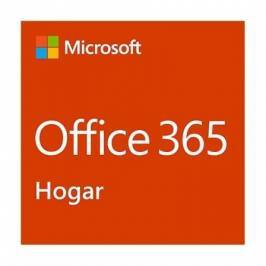 MICROSOFT OFFICE 365 HOGAR - WORD - EXCEL - POWERPOINT - ONENOTE - OUTLOOK - PUBLISHER - ACCESS - 6 USUARIOS/1 AÑO - MULTIDISPOSITIVO.(P/N:6GQ-00995). 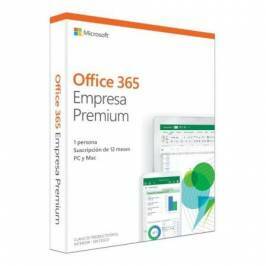 MICROSOFT OFFICE 365 EMPRESA PREMIUM - WORD - EXCEL - POWERPOINT - ONENOTE - OUTLOOK - PUBLISHER - ACCESS - 1 LICENCIA/1 AÑO - MULTIDISPOSITIVO.(P/N:KLQ-00405). 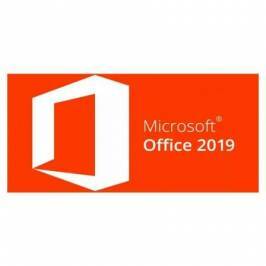 LICENCIA MICROSOFT OFFICE HOME STUDENT 2019 - 1PC/MAC - WORD - EXCEL - POWERPOINT - ONE NOTE.(P/N:79G-05043). ANTIVIRUS KASPERSKY SMALL OFFICE V6 - 5 DISPOSITIVOS + 1 SERVIDOR.(P/N:KL4535X5EFS-9ES). LICENCIA MICROSOFT OFFICE HOME BUSINESS 2019 - 1PC - WORD - EXCEL - POWERPOINT - ONE NOTE - OUTLOOK - SOLO COMPATIBLE CON WINDOWS 10 - PKC.(P/N:T5D-03233). ANTIVIRUS KASPERSKY SMALL OFFICE V6 - 10 DISPOSITIVOS + 1 SERVIDOR. (P/N:KL4535X5KFS-9ES).